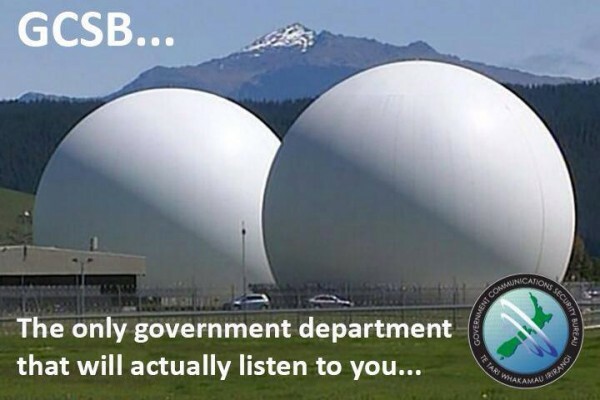 Powerful economic and political interests plan to heavily restrict democratic participation in New Zealand by legalising mass surveillance via the state apparatus. Indeed, the recent legislative ban on protesting at sea highlights the Key government’s preference for ‘speed politics’ in order to serve corporate power. Like the current GCSB bill, which is being rushed through Parliament, an amendment to the Crown Minerals Bill to make protests at sea illegal was also hurried through. The sea protest ban emerged out of two private meetings between oil exploration interests and the National’s MPs, according to the Labour Party. [v] The Crown Minerals Act bans protests on the sea within 500 metres of vessels and oil riggings in New Zealand waters. [vi] It’s crucial to remember that the country’s ‘nuclear-free NZ’ stance would not have occurred if it had been illegal to organise the flotilla’s on the Waitemata Harbour in the 1970s and 1980s to oppose US ship and submarine visits. 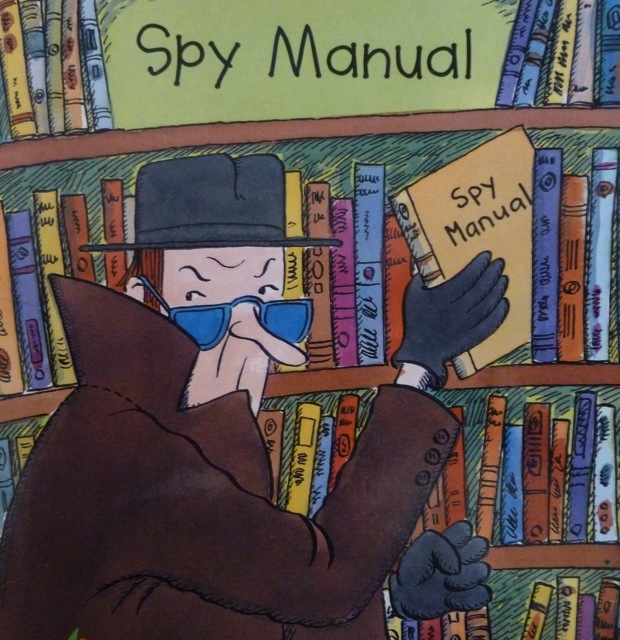 [vii] It is therefore, ironic, in light of the current GCSB spy bill that the National government refuses to release the minutes of the private meetings that its MPs had with oil interests prior to the sea protest ban. The proposed GCSB legislation also broadens search warrants from an individual case basis to “classes of persons”, “classes of places” and “classes of information infrastructures”. Despite NZ prime minister John Key’s logically flawed claim on TV3’s Campbell Live (14 August 2013) that, “It doesn’t matter what technology we use, the important thing is that it’s legal”, spy technologies can retrieve, sift and store data pertaining to people’s friends, whanau, workmates, clients, contacts and community affiliations. [viii] In essence, Key was claiming that neither the issues of technology nor the issues of law matter. According to the prime minister, all that matters is that this bill passes with a majority vote. This means that intelligence analysts at the GCSB can use programs such as XKeyscore to create a historical digital picture of a person’s telecommunications activity. XKeyscore can be used to track the metadata (data logs of usage patterns) and content of a person’s emails, social media use, web browsing, transactions, texts and phone-calls to construct a network picture of a person’s life and everyone they interact with. Importantly, Key repeatedly promoted the idea that New Zealanders could expect only nine individuals per year to be targeted for surveillance (if past trends continued). Unfortunately, Key was able to mislead the public with this claim regarding the extent of surveillance because John Campbell failed to challenge the prime minister on the broadened capacity of class-based search warrants that the GCSB bill would provide. Together these changes mean that anyone who knows anyone who cares enough to challenge councils, governments and transnational corporations about an open, free society can also be targeted for surveillance of their communications, conversations and congregations. However, as Eugene Jarecki’s 2006 documentary Why We Fight compellingly argues, the United States has engaged in acts of terror to overthrow democratically elected governments nearly every year since 1945 all over the world. As Guido Giacomo Preparata demonstrates in his book Conjuring Hitler, Britain deliberately created the conditions to make war with Germany well before 1914, and devised a two global war strategy, with America’s conscious help. Similarly, William Engdahl argues in his books, A Century of War and Gods of Money, an American capitalist oligarchy and the US state saw the opportunity to emerge from these global conflicts as the world’s dominant military and financial empire, and devised its own belligerent strategy. Yet, these wars were ostensibly fought to uphold the value of ‘freedom’ that the ‘free world’ was meant to regard highly. Crucially, when we consider New Zealand’s “international relations” and “well-being”, NZ’s military alliances with Britain and America were solidly fortified in these global conflicts. For the record, it is pertinent to note that (to date) no major news outlets have published or broadcast retractions pertaining to the uncritically accepted, official versions for the causes of World Wars I and II. It’s as if no one in the mainstream media anywhere in the world reads scholarly, critical accounts of twentieth century history. Furthermore, numerous scholars, journalists and professionals contest the official 9/11 terrorism narrative. Together their citizens’ initiated 9/11 investigations argue that the core official claims are implausible. Their investigations vary according to expertise, such as technical studies of: the near-free fall speed collapses of the three towers that imploded at the World Trade Centre; tracking the four hijacked flights; and presenting the more likely suspects. [xv] Among this group of 9/11 investigators, some posit that deep state criminal actors occupied key leadership, technical and planning positions within the United States corporate world and state apparatus, and orchestrated the terrorism of September 11, 2001. Because every state in the world failed in its duty to test the official 9/11 story, the Bush regime was able to launch a ‘global war on terror’. Indeed, 9/11 was used to justify increases in state surveillance worldwide. Yet, it needs to be remembered that when the mainstream media could no longer ignore the Bush regime’s justifications for America’s second War on Iraq were false, major news outlets everywhere, however, also failed to seriously question whether the reasons for the broader war – the Global War of Terror – were also false. Back in Aotearoa, recall also that the New Zealand government capitulated to a terror-sponsoring state when, in July 1986, prime minister David Lange released two of France’s DGSE (Secret Service) agents for their part in the 1985 plot to bomb Greenpeace’s Pacific Ocean flagship, the Rainbow Warrior. [xvi] Under French coercion, the two terrorists were sent to Hao Atoll, a French military base in French Polynesia to finish out their sentences, and were released within two years. The Lange government’s capitulation to coercion from France’s government, and the United Nation’s lack of resolve to pursue justice with the French state and its spy apparatus meant, in effect, that the world community tacitly endorsed state-sponsored terrorism. It was, therefore, truly ironic that New Zealand’s hard-fought stance against nuclear terror resulted in the buying-out of its government with a ‘compensation’ sum of $13 million. In essence, this face-saving exercise for the Lange Labour government amounted to furtherance of conspiracy, since the core of the criminal French group was left at-large. To sum up, we not only need to be able to keep our communications private. Before we consider investigating the public, we need full disclosure by the state powers with which New Zealand is aligned, of their covert histories. Such disclosure requires the world’s major and significant governments to open their secret records to the full scrutiny of the planet’s citizenry, so that these states cannot continue to hide their terrorism, conspiracies to make war and plots to globalise police states. The crimes against humanity, especially those committed by the governments of the United States and the United Kingdom, needs to be become common knowledge to the world (most especially to their domestic populations). To achieve this, the world’s Dumb-dee-doo muggles will have to become ballsy. For activists cannot build mass movements to retain rights and develop systems of economic and political autonomy, or self-determination, if mainstream people refuse to truly value what hard-won ‘freedoms’ we still have. In other words, the sentiment for the fallen on war remembrance days needs to change from ‘lest we forget’ to ‘best we learn’, so that it quickly becomes ‘now we know’. [v] The first meeting on September 4 2012 between Economic Development minister Steven Joyce and Shell New Zealand chairman Rob Jager, business advisor Chris Kilby and Chief Executive of Petroleum Exploration and Production Association David Robinson. Labour’s energy and resources spokeswoman Moana Mackey claimed that documents obtained through an official information request showed that Shell impressed on minister Joyce that there “insufficient legal authority” to restrict protests against vessels and oil rigs. Mackey claimed that Shell presented Joyce with a white paper outlining their concerns. Furthermore, Labour claimed that the second meeting took place on February 14 between National’s Energy and Resources minister Simon Bridges, two weeks before he presented a paper to Cabinet. This paper, according to Labour, quoted bureaucrats from the Ministry of Business, Innovation and Employment who wanted “a more robust Government response to threats of, and actual, direct protest action.” Mackey also stated that the documents showed Bridges strategy had been to circumvent public consultation by withholding a regulatory impact from Parliament until the last minute so that MPs could not track amendments through the select committee process. [ix] Damer, T. E. (2009). Attacking Faulty Reasoning: A Practical Guide to Fallacy-free Arguments (6th ed.). Belmont, CA: Wadsworth. [xii] See: Palan, R., Murphy, R., & Chavagneux, C. (2010). Tax Havens: How Globalization Really Works. Ithaca, NY: Cornell University Press; Shaxson, N. (2011). Treasure Islands: Uncovering the Damage of Offshore Banking and Tax Havens. New York, NY: Palgrave Macmillan.